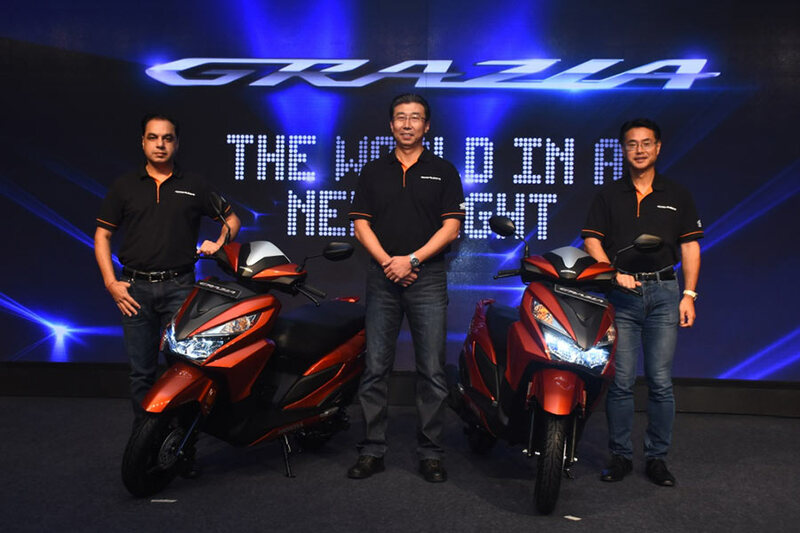 Honda 2 Wheelers, India’s 2nd largest 2 wheeler maker today officially unveiled the New Advanced Urban Scooter “GRAZIA”. The all new Honda Grazia shall lead the Scooter Segment of Honda from the front with Innovation & advancement of its product portfolio. As a market leader of scooterization, with biggest portfolio of 6 existing scooter models, new GRAZIA shall further boost-up the scooter range. 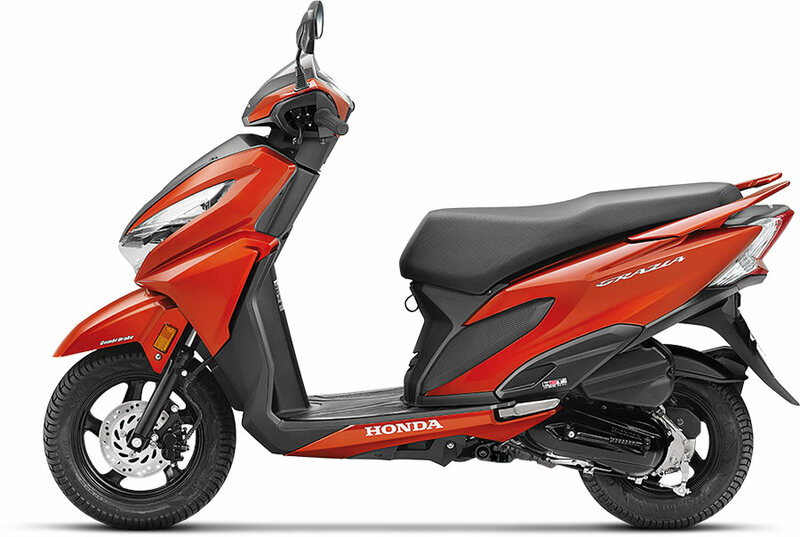 The 125cc Honda Grazia scooter has been styled to meet the aspirations of upwardly mobile Young and Urban India. The GRAZIA is not just the best looking but is also the most technically advanced product in its category. GRAZIA is set to create new excitement with its advanced technology, innovative industry first features and sharp design lines. In the last 16 years, Honda 2Wheelers India has grown exponentially from a humble 54,000 units in the first year, to 3 lakh+ scooter sales in a single month now. Today every 2nd scooter customer in India is celebrating the freedom of mobility on a Honda scooter. Adding more excitement to the premium scooter segment, the Honda GRAZIA is the most advanced scooter in its category. 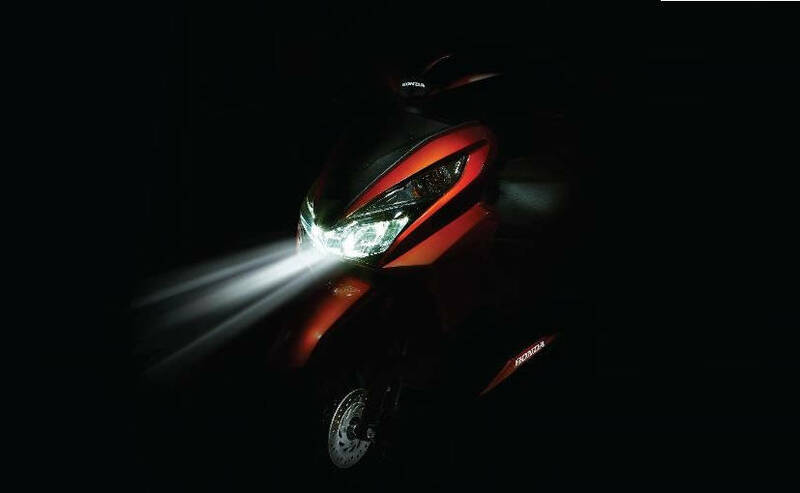 With many Industry first feature like LED Head lamp, fully digital meter with 3 step speed Eco speed indicator, Customers can now step into the future and see the world in new light with pride, backed by Honda’s high quality and superior reliability. As the market leader in automatic scooters, Honda raised the bar further with GRAZIA – Honda’s Next Big Step of Innovation in Scooters. Get ready to see the world in a New Light with bright LED head lamp. Many other Segment leading features makes GRAZIA the most advanced urban scooter with great styling and unparalleled convenience. At the heart of GRAZIA ticks the trusted 125 cc Honda BS-IV HET (Honda Eco Technology) engine, which promises the perfect balance between mileage and power. The refined and compact engine delivers 6.35 kW of power and 10.54 Nm of torque. 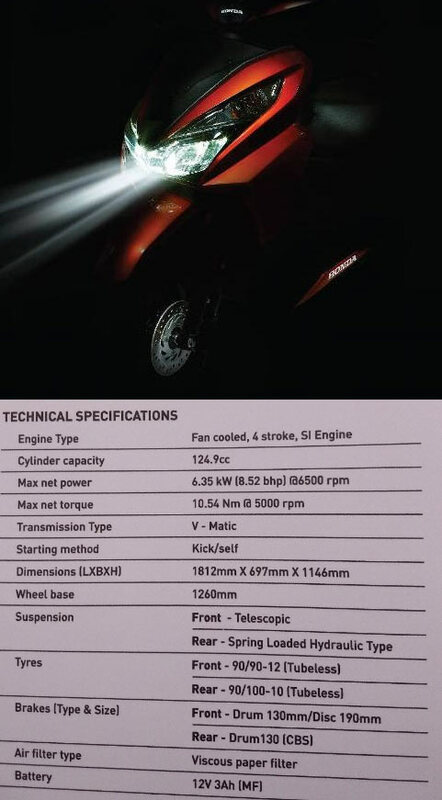 The engine promises improved combustion, reduced friction and better cooling to bring out the best performance. 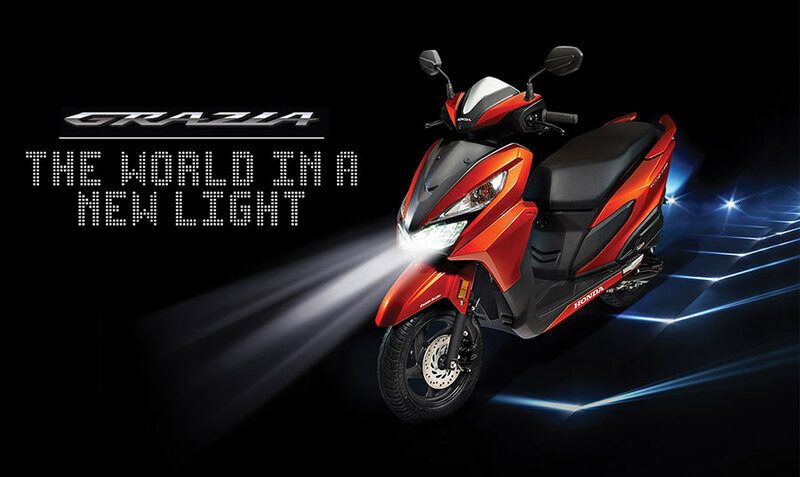 The Honda GRAZIA is the first scooter in India with a factory fitted LED headlamp. It forms a blend of great aesthetics and superb visibility. Compared to traditional halogen based headlamps, LED lamps promise a brighter light, better spread, more focused and wider beam. LEDs also have a longer life than conventional bulbs. Creating a new benchmark is the Advanced Cockpit in GRAZIA. The fully Digital Instrumentation brings together modern technology and beauty while the silver garnish adds a touch of elegance. Apart from the speedometer, trip meter, odometer, fuel gauge and clock, the instrumentation also gets a tachometer. The segment first 3 Step Eco Speed Indicator is the first such innovation which shows realistic mileage information. Unlike standard Eco Meters, Honda’s Eco Speed Indicator allows more flexibility to the rider to adjust his riding style accordingly. The Eco Speed Indicator display lights can be turned off at will. Taking convenience to the next level, GRAZIA gets a 4 in 1 lock with Seat Opener Switch. The rider no longer needs to take out the key and open the seat lock from the rear. Bringing the key to the seat mark, the rider just has to push the One Side Functioning Switch. The All New GRAZIA gets a unique Utility Pocket to keep the mobile phone safely. An optional smartphone charger is also on offer. The chiselled tail lamp and split grab rail portray a modern image while the 3 tone spiky head unit adds a sharp & sporty character. The 3D logo emblem on side panel & the matchless Honda badging on the floor panel gives the GRAZIA a personality which is beyond the imagination of ordinary. The stunning New GRAZIA comes with premium black alloy wheels. The all new 2017 Honda Grazia is available for sale in Standard, Standard Alloy and Deluxe variants and has been very attractively priced at Rs. 57897 (ex-showroom Delhi).